We found 7 episodes of Coffeehouse Blunders with the tag “parenting”. We have become YouTube famous! We talk nick names, parenting blunders, and what the heck is this new Computer Chess Championship from Chess.com. Danny is under the weather, but is a champ to pull through this week's podcast to discuss chess memes, parenting, being sick, and America's Got Talent. What would a day in the life of Danny's executive assistant be like? How would one hold such an honor and get this exclusive job? Danny breaks it all down on this week's episode. This episode almost didn't happen! 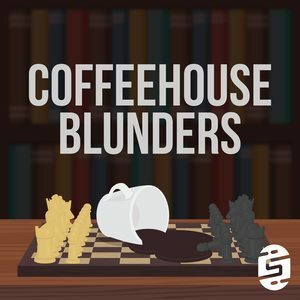 Motz is off presenting around the globe and Danny has been crushing Chess and Twitch, but that didn't stop these two from more coffee, tech, and chess! Motz is on the hunt for the perfect coffee stirrer for his Chemex, while Danny attempts to figure out how to handle his 12 year old Nash and his first "relationship" and takes a swim with the Sharks.